Chrissa and Jamie’s gorgeous pink and navy spring wedding was the perfect way to start off our spring wedding season! March weather can be a little unpredictable – days can be anywhere from 45 degrees to 80. The day appeared with partly cloudy skies, great temperatures,and lots of wind. So much wind! This bridal party handled it in stride, though! Something we love about Chrissa & Jamie that really stood out on the wedding day was how they really bring out the best in each other. The moment they saw each other for their First Look, you could feel the connection these two have together. They’re the perfect match and two amazing people! We’ve loved getting to know them, and spending this day with them was so special! While Chrissa and her girls finished up their hair and makeup with Terramé, Joel and I headed to the church to capture Chrissa’s bridal details. I love starting off the day with these details! It gives me an extra little sense of the bride’s wedding day vision. I’m also like most other photographers – I love shooting the details! There’s just something about it that’s so much fun. Chrissa and Jamie shared a quiet First Look together and a few bride and groom portraits before we met their family for some family formals. Chrissa and Jamie chose to do their bridal party pictures at Valley Hill Country Club after the ceremony. So, after the “I Dos”, we all headed over for a fun and very windy portrait session with the whole crew! So fun! We’ve photographed several weddings at Trinity UMC, and Cindy is always so great to work with! And then there was the gorgeous Chrissa and her dreamy Modern Brides gown. I am seriously in love with her dress and may have possibly let out a very audible squeal when we saw it hanging in the bridal suite. The team at Terramé Midtown brought out all her natural beauty – and she looked stunning! It was our first time working with Orchid You Knot Flower Shop, and we’re smitten! Loven’s super sweet personality matched the bouquets. These blooms brought beautifully bright pops of joyful color to the wedding day! They perfectly complemented Chrissa’s bright pink and navy color palette. After a sweet ceremony at Trinity UMC, Chrissa, Jamie, and their guests headed over to the ever-wonderful Valley Hill Country Club to celebrate. With simple and elegant floral/candle centerpieces and music from Full Circle, it was a heartfelt evening with some amazing people! Valley Hill’s selection of scrumptious dishes were a hit before the guests were treated to dessert of Publix’s wedding cake – both traditional and chocolate peanut butter. Yuuum! We’ll be breaking out the sparkling grape juice and fancy desserts with Chrissa and Jamie during their wedding gallery reveal session, and we can’t wait! Until then, though, we’ve got a sneak peek! Enjoy some of our favorite moments from the wedding day! Chrissa & Jamie – You guys have been so much fun!! 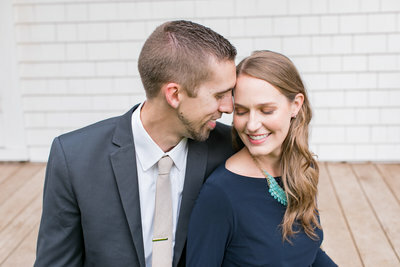 From that first coffee date and your Huntsville Botanical Garden engagement session, all the way to your wedding day, it’s been such a joy! Keep shining bright! Hugs!! You both captured Jamie & Chrissa’s wedding day perfectly with these gorgeous photos. Absolutely beautiful wedding and gorgeous pictures. Thank you for sharing the memory of my nieces wedding with us. You did a fantastic job! Beautiful pictures to capture such a beautiful event! Congrats to Chrissa and Jamie! Beautiful wedding and pictures! They bride and groom looked amazing! Beautiful wedding couple and fantastic pictures. Glad to have Jamie as my son-in-law. Raven my mom and I had a great time!! I love the pictures! Beautiful Pictures! We are so happy for Jamie and Chrissa! Congratulations! Beautiful wedding and photos. Your bouquet is gorgeous too. Wonderful wedding! Pictures look great! Thank yall so much! They look awesome.